I need help. Suggestions. Opinions. You see, I'm a big fan of the horror movie The Thing. Now my brother tells me there is a fan fic adapting The Thing into MLP, with Twilight Sparkle and all the rest. Now I can't decide if I want to read it or not. I mean, I'm a massive fan of the movie, but that means I pretty much know how it's gonna play out for the mane 6 (not well at all). My brother's reading it, so I also don't want to be less brave than him. I say don't, because everybody dies at the end. That is kind of depressing to do with the Mane 6. Also that movie is awesome! I never posted the drawings I made, did I? Exranio, that's still better than anything I can do. The stuff that happens when I try drawing is better classified as "anti-art". 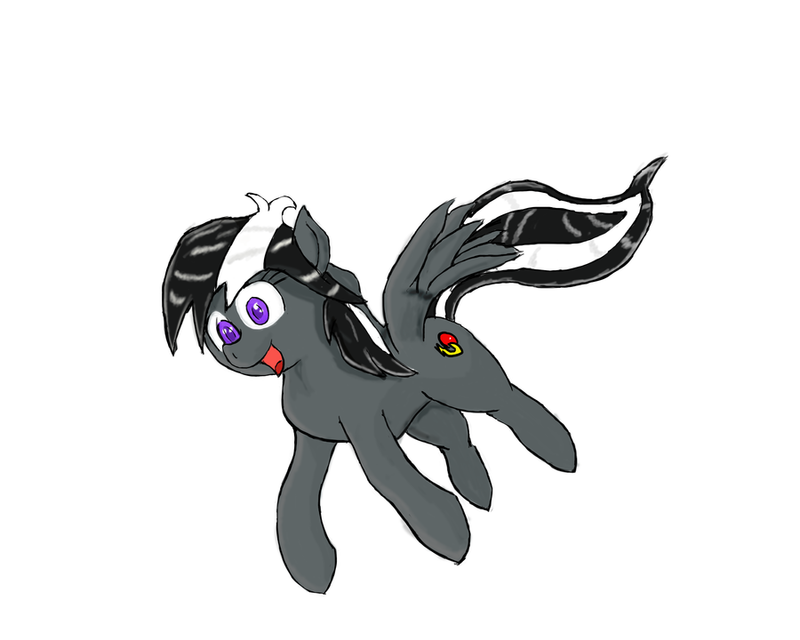 That is one mephitid pony right there. Everyone, I believe it's time for a dose of nostalgia from the earlier days of the fandom! Oooh... straying a teensy bit off-topic a moment, is the Vita worth buying? And now hurrying back onto topic before anyone says anything! Ponies meet Pirates! Edit: hey, I wrote a fan fic for the two-year anniversary of MLP: FiM this October 10th. I'd like some feedback on it before I try submitting to Equestria Daily (my worthy foe!). Anyone interested in giving it a read? My Little Pony, now in 17 different languages! In case you ever wanted to know what "Louder!" and "Yay!" were in a language other than your own. don't ask why. don't even think why. Re: don't ask why. don't even think why. I don't care for ponies but I must admit, this is awesome in a terrifying way. Don't you guys have a thread specificly for this kinda stuff? exactly. when you look in its eyes, its like... you feel happy... but cold, on the inside. its amazing. 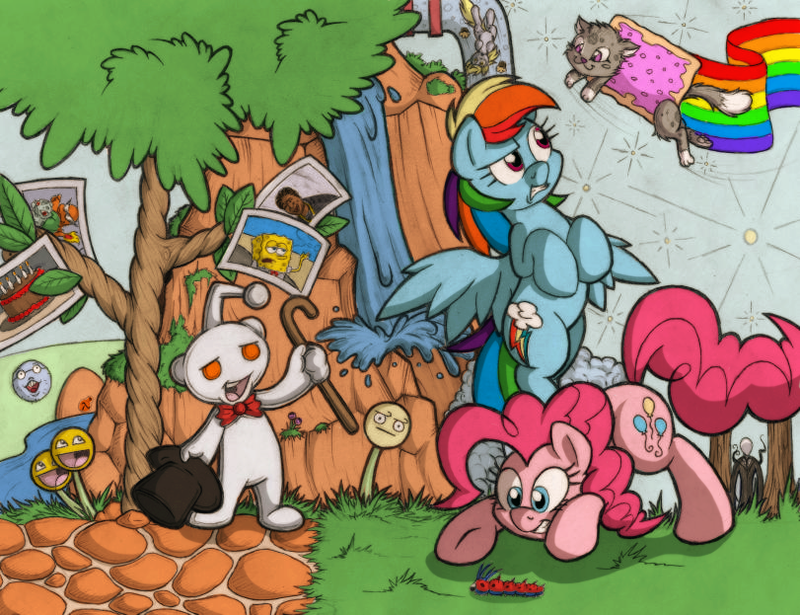 I do believe this would go in the ponies thread. And so it shall be. My brother and I have been having discussions on, adapting Wizard of Oz into pony, who would be who. I think Applejack should be Dorothy, since she's already a farmgirl with a dog (Winona). However, my brother thinks Applejack would be the Scarecrow, and Twilight would be Dorothy. Wow, that is a tough question. I'm thinking that Twilight would be Dorthy though. Yea, Applejack is a farm pony so that works better for the very beginning, but I think Twilight would be a better fit for the rest of the story. well I know who will be the cowardly lion. Has to be Fluttershy. I agree with Twilight as Dorothy, and Spike as Toto. then Applejack as the scarecrow because she needs brains for those fancy mathematics. and I don't know who needs a heart. maybe Pinkie as Pinkamena? or possibly Rainbow Dash. I'm thinking Trixie as OZ. well they are both "great and powerful"
Show Accurate Figures might be coming Now if this is true these are the kind of toys I would buy. That would be cool! I wouldn't mind some of those, though I still would prefer plushies! I would love either one, if they are model on the show's characters designs! That is one of the reasons I have never gotten any of the toys is because of how odd they look. I see Twilight more as a Glinda-like character, being a farm girl, Applejack would make a good Dorothy. 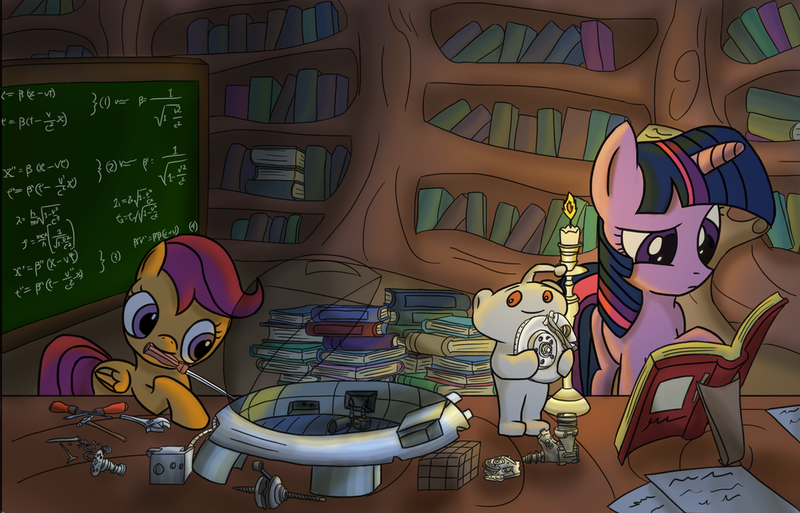 Cranky Doodle needs a heart, Derpy needs a brain and the CMC are the munchkins. 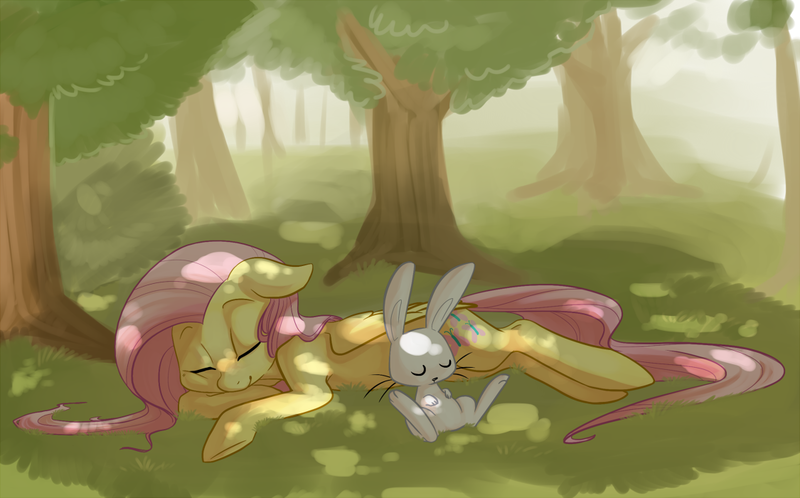 Would Fluttershy be the Cowardly Lion, or Big Mac? Would Luna be the Wicked Witch or would Chrysalis be? If it is Chrysalis, her changelings could be the flying monkeys. The diamond dogs would have to be the Winkies. Huh, I pictured Celestia as the Glinda-figure. But all those others you list, Radio, I agree with. Also, Gilda could be thrown in. She could use a heart, or her meanness could be a cover for her lack of bravery. Anger hides fear after all. This is of course if you want to use characters other than the Mane 6 for the main cast of Oz. On the topic of Wizard of Oz, I just can't see Applejack being Dorothy, if I'm honest. Besides being a "farm girl", she's nothing at all like Dorothy; and even on that note, Dorothy wasn't really a "farm girl" so much as an "I-Live-On-A-Farm girl". Could you imagine her character doing a single day's worth of real farm labor? Not a chance. My vote would be on Twilight as Dorothy, and Celestia is practically perfect for the part of Glinda. Both being the wise, benevolent rulers of the land, they're essentially the same character in their respective worlds. Aside from that, I like all of Radio's suggestions. And I think Fluttershy would make a better Lion than Big Mac or Gilda. Mac isn't really cowardly; he's just not a big talker. And Gilda, while a great contender for a re-imagining of the story, is just too hot-headed for a direct conversion of the original story. Mac could ask the wizard for a larger vocabulary, and Gilda could ask for anger management that is not court ordered. If Derpy is the scarecrow, I keep thinking back to the "Futurama" riff on Oz. "You could use a brain." "Aww! Why do people keep saying that?" I loved that episode! Man, if I had any ability in video editing, I'd put that line over a scene of Derpy talking. A story of love and revolution! Not gonna lie, I teared up a little watching that. This is just too perfect. A peaceful summer day. And this didn't make much sense, but I thought that it was worth sharing. Wow, they weren't even trying to be subtle with those. I have never been so amazed or so terrified by something in all my life.